You need to cook foods to make them better to eat. Raw potatoes would give you stomach ache! The main foods affected by heat are fruit and vegetables. 2 vitamins are altered or destroyed by heat – vitamin Bs – thiamin (B1), riboflavin (B2), niacin (B3), pantothenic acid (B5), pyridoxine (B6), folic acid (B7) and cobalamin (B8). 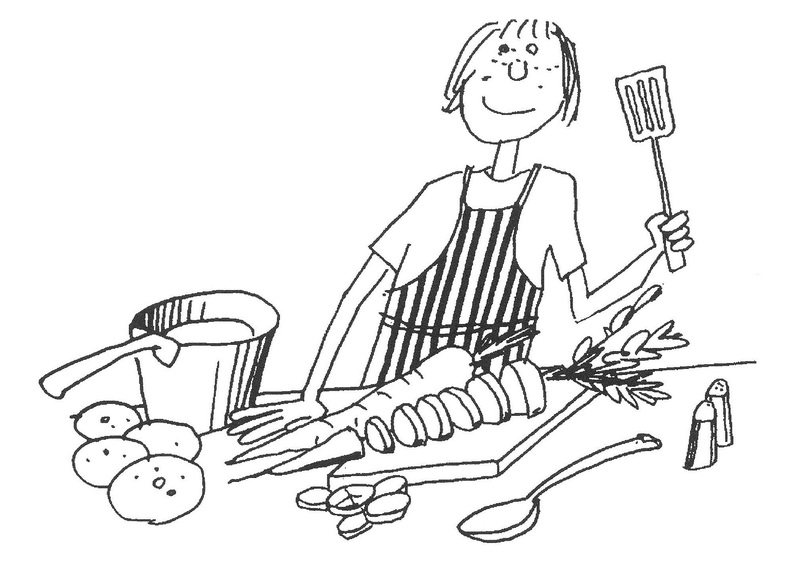 The longer the fruit and vegetables cook, the more nutrients are lost. Fat soluble vitamins A, D, E and K are reduced with heat. Proteins change too – think of a boiled egg compared with a raw one. Cooking methods such as frying and roasting increase the fat and calories in food. Microwaving is a short method of cooking food so nutrients are retained. 20-30% vitamin C is lost during microwaving. 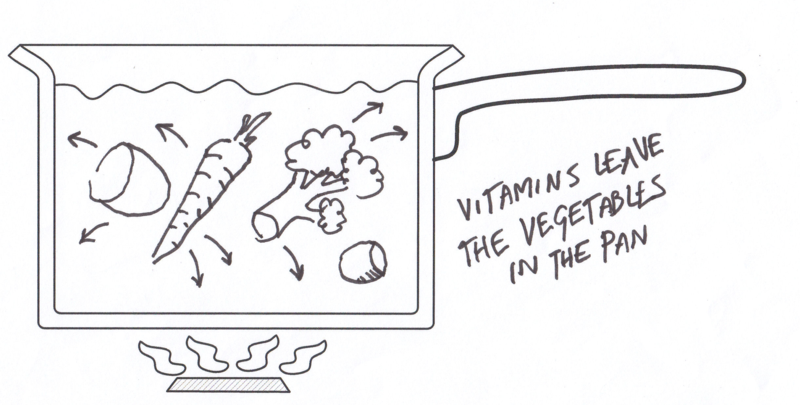 Steaming vegetables is better than boiling them as the vitamins are not lost in the cooking liquid. Cook vegetables for as short a time as possible and use the liquid to make sauces. Use as little water as possible to cook vegetables to reduce loss of vitamin C and B.
Don’t prepare veg too early before cooking as vitamins are lost. Chopping and slicing up fruit and vegetables causes loss of nutrients, so cut up these foods just before you need them.